Thirty readers love this post. 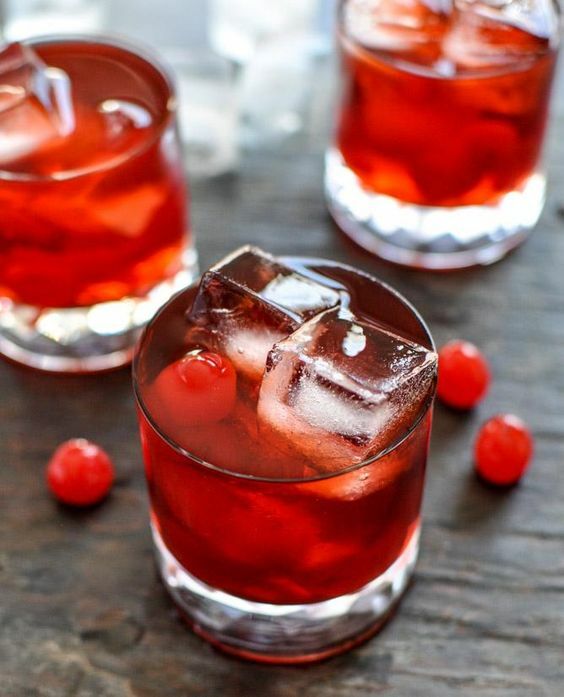 Here's a fabulous fall cocktail featuring tart cherry juice! This recipe makes me want to grab my favorite sweater, sit by a fire, and have cocktails with friends! Add maraschino cherries to the bottom of the glass and muddle until smashed. Add ice. In a cocktail shaker, add the whiskey, tart cherry juice, amaretto, and brandy, shaking for 15 seconds to combine. Strain into rocks glass over ice, top off with cola. Serve with additional cherries if desired.